Animal protection has always been close to my heart. I grew up around animals, and like me, my kids enjoy playing with dogs and spending as much time with them as possible. Rescuing or helping animals in distress – whether an owl or a monkey or a pigeon – is something I’ve always considered my duty. That’s why I’ve decided to write this blog post – to encourage others to join me in trying to save Kerala’s dogs, too. The photos circulating of about 40 dead dogs piled on top of each other in Kannur, Kerala, have broken my heart. It has been alleged that the dogcatchers were put on the job by the area panchayat, but following a hue and cry, local people are currently being blamed. 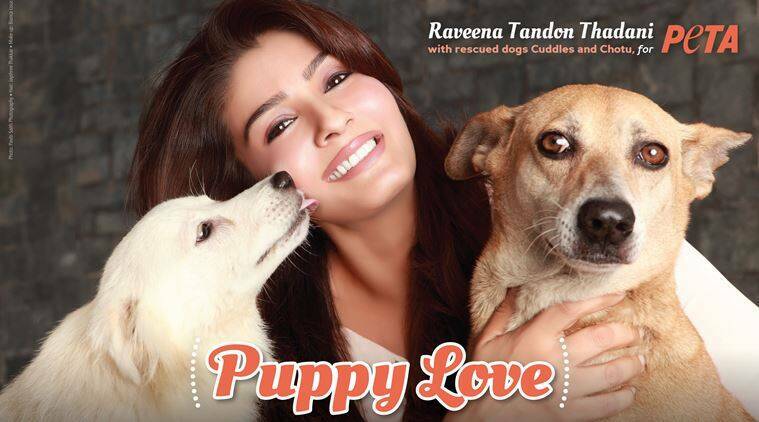 Those dogs were individuals, with distinct personalities, just like my rescued desi dogs, Hero and Chotu. Some would have been playful, others shy, some cunning, but all loving. That’s how dogs naturally are. Now, the Government of Kerala has announced its intention to kill “rabid and dangerous” dogs. I know from my friends at People for the Ethical Treatment of Animals (PETA) India that reporting dogs as “dangerous” is commonly done throughout India by people who are simply attempting to rid their neighbourhood of dogs, even when they’re as gentle as lambs. PETA India regularly gets calls from concerned members of society about people who have reported non-aggressive dogs as rabid or dangerous, have threatened to harm the area’s dogs or have had the dogs collected and dumped elsewhere – or worse. Many people do not understand dogs and misinterpret playful barking or jumping as aggression. The fact is that most dogs are friendly and good-natured because as companions to humans, that’s how they have evolved to be. Humans domesticated wolves and encouraged friendliness traits over many generations. So unless a dog is deliberately bred to be aggressive, such as for use in illegal dogfights, they are usually friendly. Our desi dogs, despite all the hardships they face, are typically particularly friendly, responding to even the smallest gesture of human kindness with a wagging tail and immense gratitude. It’s normally only when these otherwise pleasant animals are made fearful by being shouted at, kicked, beaten or abused by people in other ways that they may feel the need to protect themselves or their puppies. But even then, most stray dogs just run away and hide. In fact, General Hospital Ernakulam did a study and reported that companion dogs who play roughly, rather than stray dogs, were responsible for 75.6 per cent of the bite cases during a seven-month period this year. The dogs killed in Kannur by cyanide poisoning would have suffered greatly. Symptoms of such poisoning can include vomiting, difficulty in breathing, seizures, cardiac arrhythmia and death. It doesn’t have to be this way. Stray dog populations are largely sustained by piles of uncollected garbage and slaughterhouses. As a first step, municipalities can take garbage collection seriously and close down unlicensed, illegal slaughterhouses. The Animal Birth Control (Dogs) Rules, 2001, also require municipalities to sterilise and vaccinate dogs and then return them to the place where they were found. Kerala’s municipalities need to start taking this duty seriously. With no puppies to protect, and without mating, dogfights and the risk of accidental dog bites to humans decrease. And the public needs to help, too. The number of dogs on the street far exceeds the number of good homes willing to take the animals in. That’s why people who are ready to welcome an animal into their home should adopt a dog from an animal shelter or the street. Pet shops and breeders are contributing to the dog-overpopulation crisis by churning out puppies and encouraging impulse buying, which also commonly leads to abandonment. People can also help curb the stray-dog crisis by getting their own companion dogs sterilised and supporting the animal birth control initiatives of NGOs. When people allow their dogs to breed, it kills the chances of other dogs who are already in shelters and need homes. Last but not least, get active. 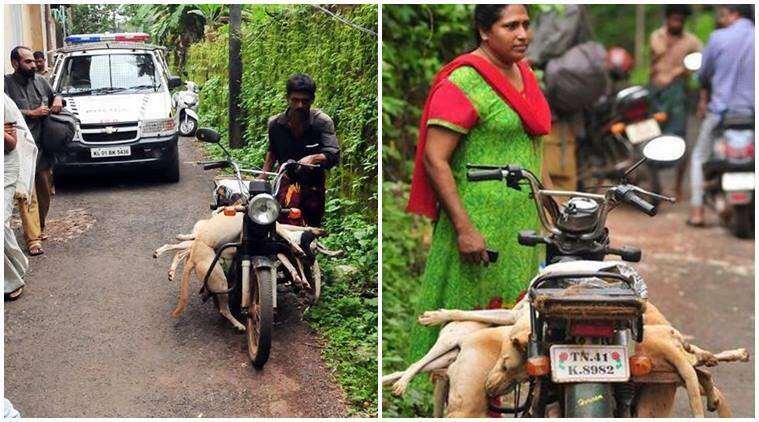 Let the Government of Kerala know you want it to drop its cruel dog-killing plan. Sign PETA India’s online petition, which can be found on PETAIndia.com, and share it on Facebook and Twitter. If you hear of a protest, join it. If you’re a teacher or parent, be sure your children learn about the importance of kindness to animals. And if you’re a student, get your classmates involved. – The author is a Bollywood actress, film producer and a former model. Views are personal. 1 Mumbai meat ban: Isn't enforced denial a form of violence too?